I usually try to mix things up here, and we did just feature a very nice early roundcase Ducati this week, but this late square-case SuperSport makes a nice bookend to that earlier machine. While you might expect the bigger-engined 900 SuperSport to be the more desirable bike compared to the earlier 750SS or Sport, the reverse is actually true: with just 401 produced, the earlier 750SS is far more collectible than its bigger descendant. 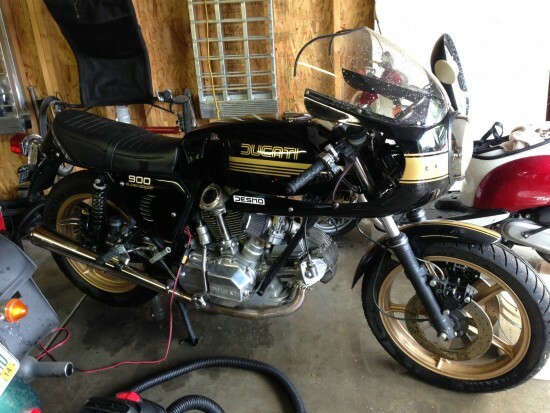 But that just means these are that much more accessible for folks who want to experience a classic bevel-drive Ducati. 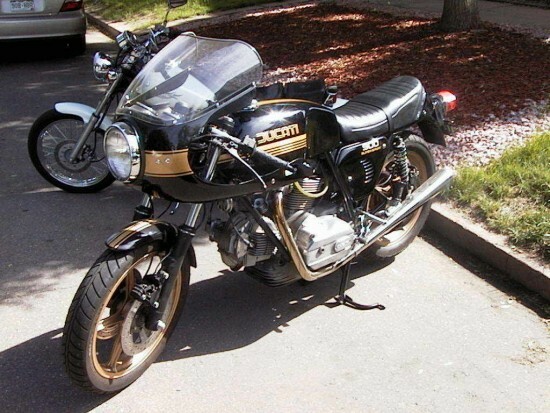 Although these epitomize Italian sportbikes of the period, the truth is that, but the late 1970’s, Ducati’s v-twin was getting pretty long in the tooth. It handled better than the newest crop of Japanese superbikes, but they were less refined, less reliable, and very expensive to produce, with the complex and Swiss watch-like tower-shaft and bevel-drive gear arrangement requiring very precise set up. In fact, the Pantah that followed was mainly intended to reduce production costs, not improve performance: those rubber belts ran quieter and made building those motors much faster and easier, even though they needed more regular replacement. Thanks for that, Ducati. 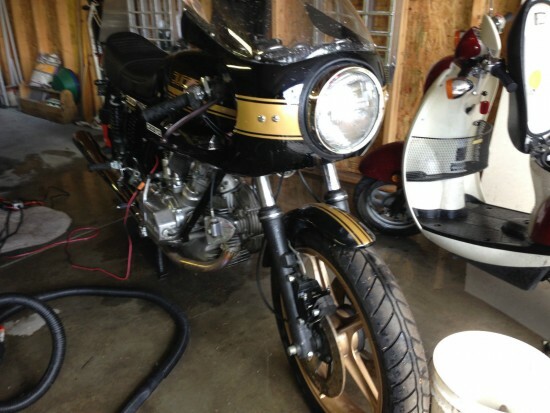 Very rare bevel-head Ducati, all original with few modifications. 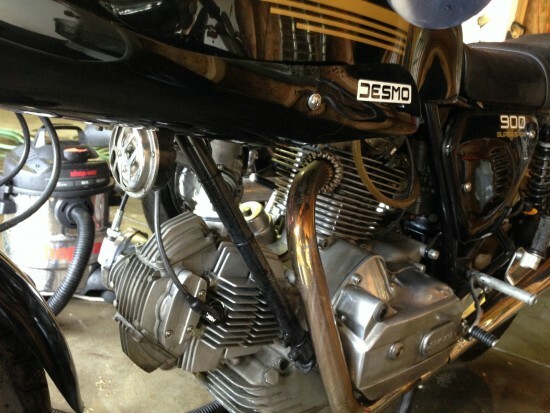 Conti exhaust, Marzocchi shocks, Del’lorto 40 mm pumper carbs, and a Dr. Desmo Bevel-gear window. 14,000 original-owner miles, has Campagnolo cast alloy wheels, a rare original option, and perforated brake disks. 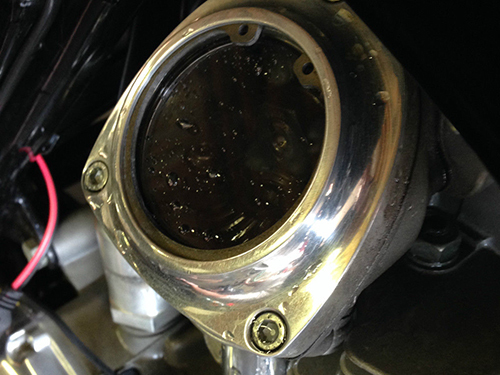 Complete professional no-cost-barred frame-up restoration done ca 2000-2001 by MPH Motorsports (Houston), stripped to frame, powder-coated, engine sent to Perth, Australia for the performance Vee Two treatment (converted for unleaded fuel, hardened seats, porting, http://veetwo.net/ ). Very professional result and true to the original. Runs strong and handles as if on rails. The rarest collectable MC known, recognized in the Guggenheim “Art of the Motorcycle”. Perfect condition, runs great. Always garaged, maintained by Erico MS in Denver (who will crate and ship the motorcycle), did I mention I am the original owner already? It’s nice that the seller took the time to wash the bike before taking pictures, but I do wish it’d been dried off first… And I do wish that a few more unblurry pics had been included. 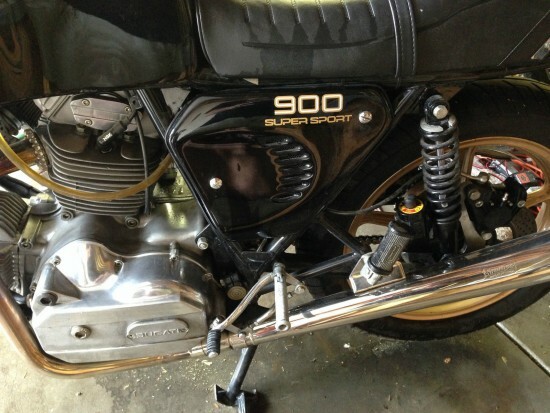 1975 Ducati 860GT for Sale in San Francisco!